This unique set is made up of beautiful clear cubic zirconia stones in the shape of a tear drop. A small champagne tear drop stone is suspended in the centre of the necklace and at the end of the earrings. 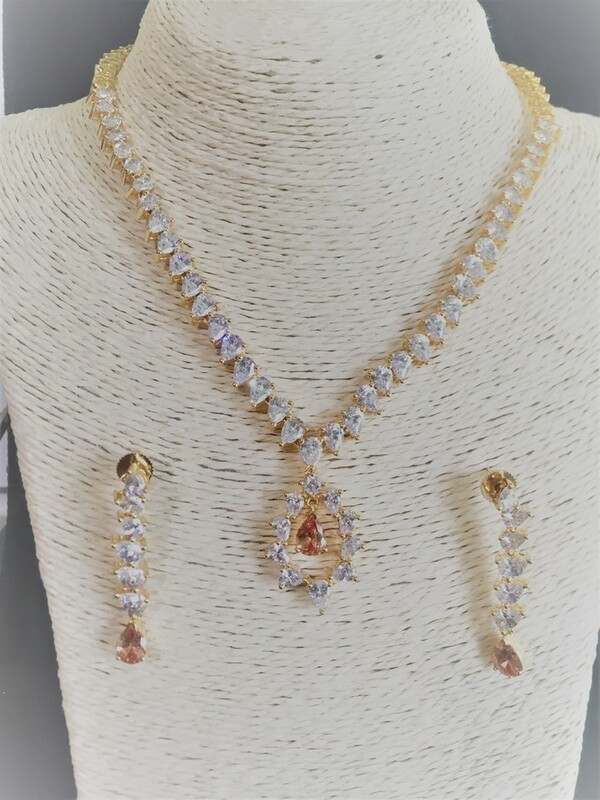 Thus making it a simple but stunning necklace and earring set.